When you purchase a home you are making one of the most important decisions in your life. You’re also making one of the most important investments in your life. Choosing the right home is just as important as choosing the right roofer to fix your home when problems arise. If you live in the Northeast then you better be prepared to encounter some problems over the years. The tri-state area has no shortage of rough weather that puts serious wear and tear on homes. If you live in areas such as New Jersey, you’ll want to find the right roofer. When searching for a roofer, you’ll soon see that every roofer in NJ claims to be the best. Luckily for you, we’ve found learned some helpful tips along the way that have helped us find the right roofer in NJ. 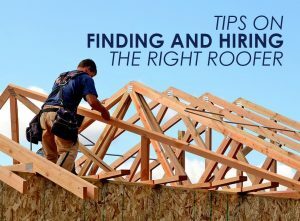 When you begin your search, be sure to look at these things below to increase your chances of finding a qualified roofer for your project. Look for a roofer with years of experience and credibility. Be sure that whoever you decide to work with knows the industry and has worked on credible projects you can verify. When you finally find a roofing company you feel comfortable with, ask for some references and do some homework. God roofers will have tons of reviews and a portfolio of the past jobs. Or you can read online reviews or and you’ll have a better chance of choosing someone who is the right fit for the job. Be sure that the contractor you decide to work with provides work that is warranted. A credible contractor is confident in his work and a warranty will establish that. The best warranty is a manufacturer warranty and it is always best to have the roofer explain it so both parties know what is covered. Do some homework! Most credible roofers have reviews online, references or are accredited by the BBB. The BBB is an accreditation body that provides information, basic info, background, free reviews on businesses, licensing and consumer experiences. By joining the BBB, it shows that the business has met industry standards and are willing to work with customers in good faith to resolve any customer grievances or problems. This also boost the company’s image showing they care about their customers and their experience. All of this information will help you decide who to work with. 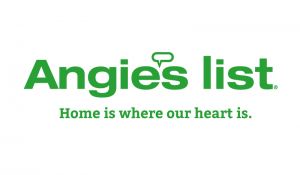 Angie’s List is a free website and tool that provides reviews and ratings to its members on various businesses complete with background checks and user experiences. They do not allow anonymous reviews which improves their credibility. This allows the user to have much more confidence and trust when choosing a contractor on this platform. In addition to providing reviews and ratings, they are also well known for sharing expert advice and blog posts on how to improve your home, DIY guides and loads of tips for taking care of your roof. These five tips should guide you in making the right decision when it comes to one of the most important investments in your life. We’ve taken the time and hope you get some useful tips to help make your decision one that you can feel good about. We hope it helps and want to take the time to thank you for choosing Proven Contracting of NJ. We look forward to working with you on your next project. For more information and useful tips, call us today or check out our Locations in Bridgewater, Long Valley and Randolph.